Does your computer hard drive perform sluggishly? Do you need a faster hard drive for your computer system? 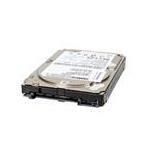 We, at Memory4less.com, provide high-quality Lenovo hard drives for better performance and enhanced speed. May it be a computer server where you need to store huge amount of data, or a personal computing machine where you keep your routine data, better quality hard drives ensure stability and long-term performance everywhere. At Memory4less.com, we have a huge stock of Lenovo Hard Drives for computer servers, desktops and laptops. Upgrade your computer hard drives today by ordering high-capacity hard drives from Memory4less.com. We offer free shipping on most orders and exceptional quality service. Still unsure about which Lenovo hard drive will fit your needs? Consult our Memory Experts and buy compatible hard drives for your needs.